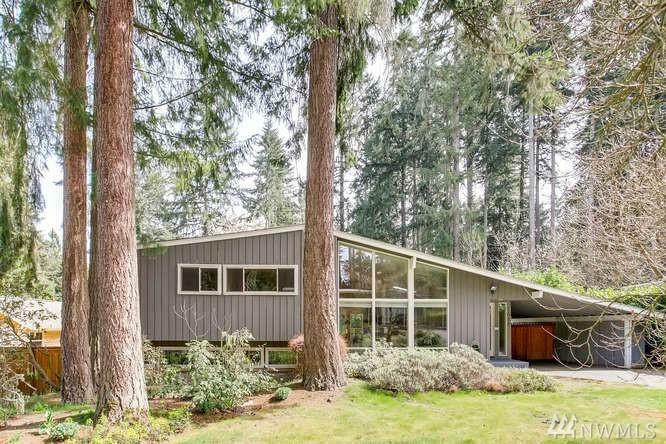 Fantastic location with this modern mid-century remodel. 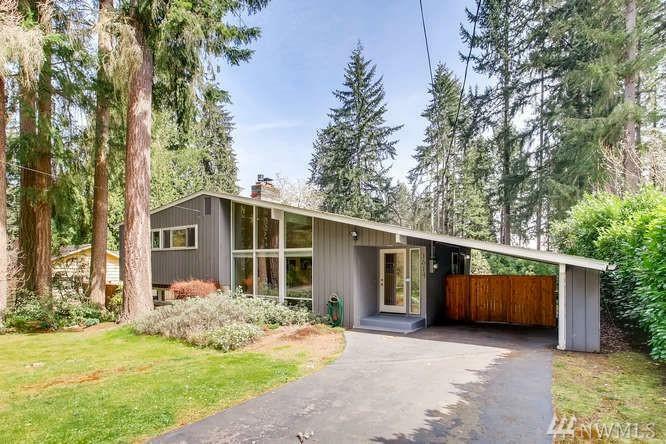 Located on a quiet street near several parks, lakes, shopping, dining, with easy I90 and I405 access. Offering 4 bdrms 2.5 baths, living and family rooms. 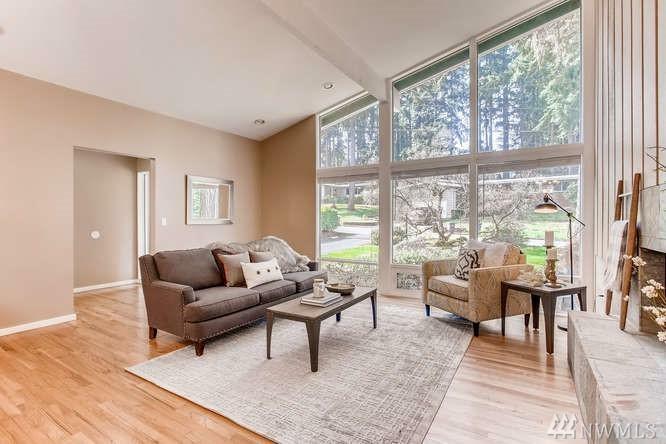 the floor to ceiling windows in the living area really brighten this home as you enter into the main level. Open concept style kitch to living and dining area. Lg entertaining deck off dining rm accessible by french doors. 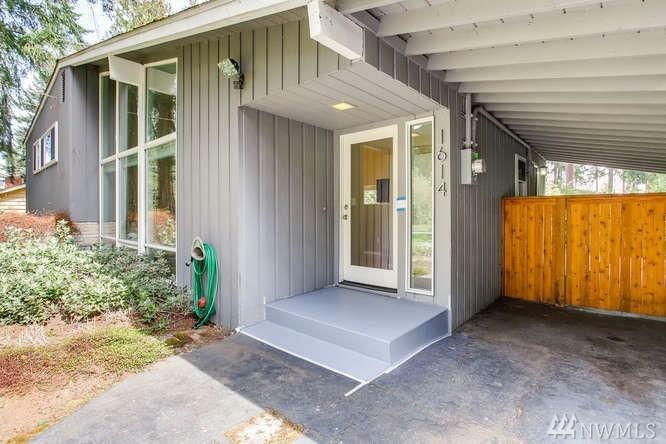 Huge deck, private lg fenced yard.